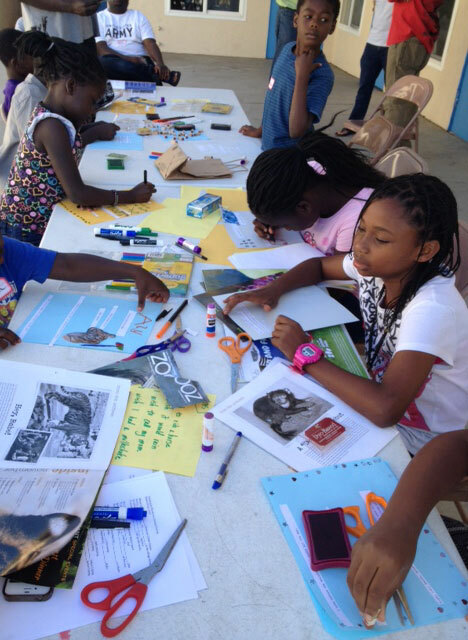 …in access to the arts in San Diego, and Poetic Youth programs address this problem. By providing free poetry and writing workshops to under-served youth communities, Poetic Youth bridges this gap in access and creates a larger community through poetry and the arts. Poetic Youth programming includes basic writing workshops, which focus on self-expression, imagination and character development. While it may be cliché to say that writing empowers the writer, it’s Poetic Youth’s position that having one’s voice heard, one’s words read with attention and care, can be a transformative experience. …to SDSU undergraduate, graduate and faculty members, offering a level of expertise to the under-served communities in San Diego that no other local writing service matches. Poetry is a participatory art, not an observational one. The workshop-focused ethos of Poetic Youth programming fosters interpersonal relationships between the Poetic Youth mentors and students. It is our hope that these relationships will endure and inspire each participant and youth community we reach. Poetic Youth aims to inspire San Diego’s youth communities, but all workshops are open to anyone interested in the workshops practicing writing, art and self-reflection. Poetic Youth was founded by SDSU graduate students in collaboration with Ilya Kaminsky and Jenny Minniti-Shippey, Editor-in-Chief and Managing Editor for Poetry International, respectively.